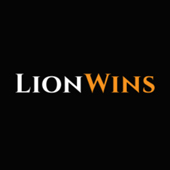 Launched in 2019, Lion Wins casino is owned and operated by Jumpman Gaming Ltd. The website has an aura of elegance to it, with a beautiful mixture of orange and gold. To top it all off, a proud lion stares off into the distance.. or maybe he’s staring at the available promotion? Further down, the casino shows off some of the best games you can play on its platform. It also tells you all the payment methods and software providers on its platform. A+ for transparency! The welcoming page of Lion Wins casino shows you some of the best video slots they have on offer. A little further down, they also boast about having over 600 video slots available for your enjoyment! Players have access to a fantastic collection by numerous software providers. Whether you want new and exciting, or some older game that always pays well, you can probably find it here. Promotions are the same ones you will find in other Jumpman Gaming casinos. New players can make use of the welcome offer to win up to 500 free spins on select games. There’s a cashback bonus for VIP players, and the biggest VIPs even have a chance to win a free pizza! Finally, Happy Hours, 200 Club and Turbo Reel are all extra promotions that can net you free spins on great games. At the time we wrote this review, Lion Wins casino offered a total of 645 available games. The website does offer a limited filter, that allows gamblers to sort for only jackpots, bingo games, or all games. There is a separate category for the very best slots, and one for all your favourites. A decent effort, but one that misses a lot of marks. It can be quite difficult to find exactly what you are after. With over 600 video slots available and no demo versions available, you will have to manually find a review for each game. We cannot imagine many players going in blind and spending real money on a slot they may not even like. An improved filter could solve much of that! It could sort by software provider, type of slot, available special features..
On their home page, the casino brags about offering the very best game providers. NetEnt, Microgaming, Playson, Yggdrasil… These are just some offering among a mountain of available developers. Jumpman Gaming has a total of 42 jackpot slots available. From what we can tell, none of them offer a progressive jackpot. Furthermore, we also noticed several jackpot titles seem to be adjusted versions of existing slots. Table games continue to be lacklustre at this operator, too. Players are treated to one blackjack game, and three roulette tables. However, popular titles like baccarat, poker, and numerous others are conspicuously absent from the library of games. There are also no available live casino titles currently available at Lion Winscasino . Gamblers hoping for a shared online experience will have to find another casino. Arcade games are non-existent, as far as we can tell. It is possible that we may have missed one or two, since they do not have their own category. Bingo, however, does get its own category. There are a total of five bingo games, two of which are played once a month. The other three are played more often, but have lower prizes as a result. There are also two lotto titles available at Lion Wins. The operator allows for the following deposit methods: Visa, MasterCard, Maestro, Paysafe cards, Pay by Mobile and Paypal. Compared to other casinos, the selection of payment processors is rather slim. At the very least, we were also expecting Skrill and Neteller, which are widely used by gamblers. After making your first deposit, or adding a new payment method, you are unable to make withdrawals for 48 hours. Furthermore, all promotions come with a £250 maximum bonus conversion cap. After reaching the wagering requirement, only £250 transform into real money. Any excess bonus money is removed from your balance. Before you can make your first withdrawal, Lion Wins will carry out an age verification. There is a 72 hour pending period for any new withdrawals. During that time period, players can cancel their withdrawal at any time. Considering how long the pending period lasts, we believe the operator’s goals are to tempt gamblers to spend it. Per the casino’s FAQ, funds should be processed after 1-3 working days. Jumpman Gaming Limited meets the UKGC’s customer fund segregation requirements at the level of basic segregation. That means all player funds are kept on a separate bank account from company funds. However, these funds are not protected in case of an insolvency. The operator has dual licenses, allowing for a wider number of gamblers to sign up and play at Lion Wins. Since the casino is UK focused, it is no surprise that they are regulated by the United Kingdom Gambling Commission. All non-British players fall under the jurisdiction of the Alderney Gambling Control Commission. Your data is kept safe through the use of firewalls, access control policies and firewalls. Furthermore, Lion Wins and its parent company are compliant with ISO/IEC 27001:2013 standards according to third party security audits. If you face any issues while gambling at the casino, you can reach out to the support staff. You can contact them by instant message, or by sending them an e-mail. You cannot contact them directly by phone number. The FAQ cover some basic information about deposits, withdrawals and bonuses. We recommend skimming through it so you know what you should expect at Lion Wins casino. At the time we wrote this review, the casino did not have a social media presence. Lion Wins casino shows no significant upgrade compared to its predecessors. The visuals look elegant, but still follows the same large tile design every other website seems to use. It offers a strong selection of slots, but still has the same lacklustre offer of table and arcade games. Jumpman Gaming’s strong catalogue of slots is the only reason we can think of recommending them. Many other operators have them beat in available payment methods, variety of games, and interesting promotions. As it stands, we would rank Lion Wins as average. Not bad, but not great either.